This month club night will be on Thursday September 20. 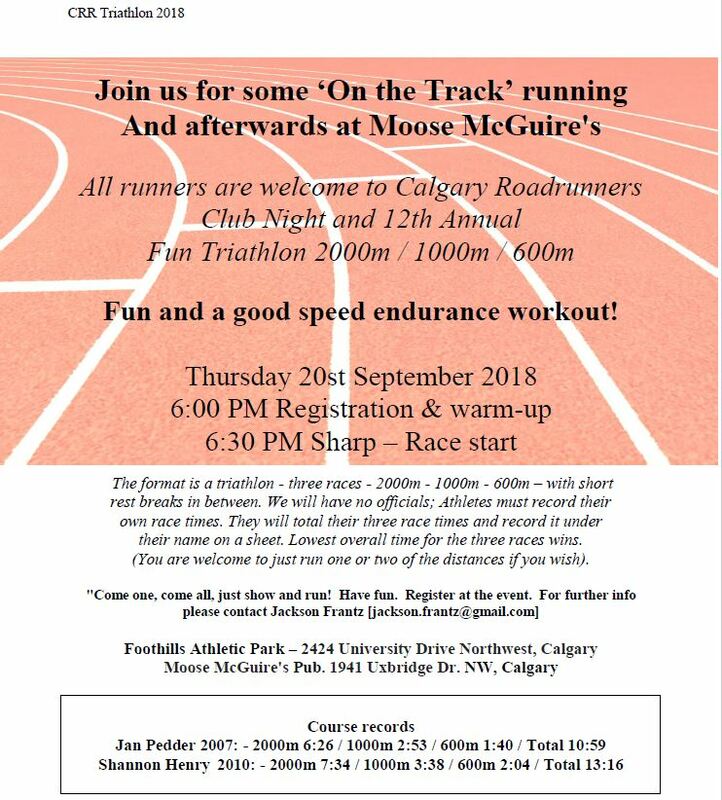 Join us for Roger and Helly’s Annual CRR Track Triathlon at the Foothills Athletic Park (2424 University Dr NW) at 6pm. This is a challenging trio of races; 2000m, 1000m and 600m with the winner posting the fastest cumulative time (see the flier below for complete details). Afterwards we will meet at Moose McGuire’s (1941 Uxbridge Dr NW) for results and refreshments.